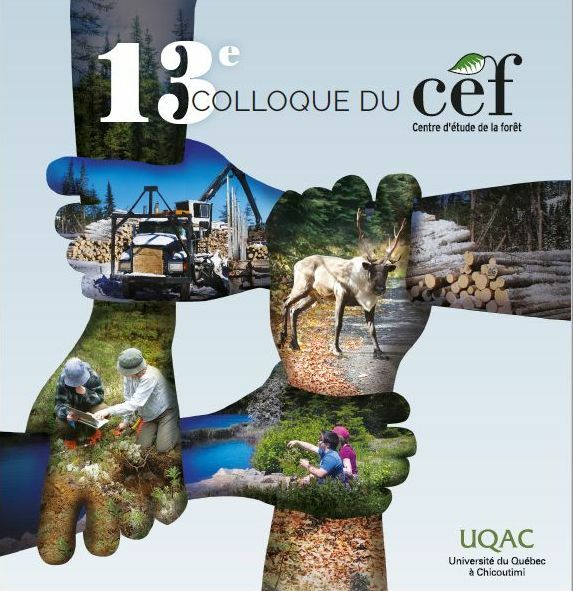 It is important to develop a better understanding of the climatic	factors controlling the growth of boreal forests. Dendrometer measurements	were used to characterize inter-annual variation in seasonal patterns	of stem diameter increment of balsam fir trees (n=3) over seven growing	seasons (2004-2010) in a boreal forest of Québec, Canada. For the	period studied, cumulative seasonal growth ranged from 1.1mm to 2.9mm. Cumulative seasonal growth was a function of the timing of tree growth	initiation and cessation along with the maximum growth rate observed	throughout the growing season. The start and finish of diameter growth	showed variations of 21 and 53 days, respectively, and duration of	the growing season ranged from 38 to 107 days while maximum growth	rates observed throughout a season ranged from 36.0μmd -1 to 57.6μmd	-1. Interestingly, similar cumulative annual growth can be achieved	through very different seasonal growth patterns, depending on the	inter-annual variation of the three factors mentioned above. Air	temperature and photosynthetically active radiation appeared to regulate	the initiation of tree growth with high photosynthetically active	radiation and cool spring conditions delaying the start of growth. The maximum growth rate within a given season was related to snowpack	depth and the timing of snowmelt. Deeper snowpack that melt earlier	in spring was associated to higher maximum growth rates during the	following season. Apart from exceptional climatic conditions that	led to a very early growth cessation in 2006, the timing of growth	cessation cannot be explained by climatic variables, suggesting that	this phenological event is internally controlled by a physiological	mechanism. Overall, the results indicate that the onset of growth	as well as the maximum growth rate were regulated by climatic triggers. Consequently, changes in climate seasonality may have considerable	effects on both seasonal pattern of growth and tree growth itself. © 2012.